The next typographic map is done! 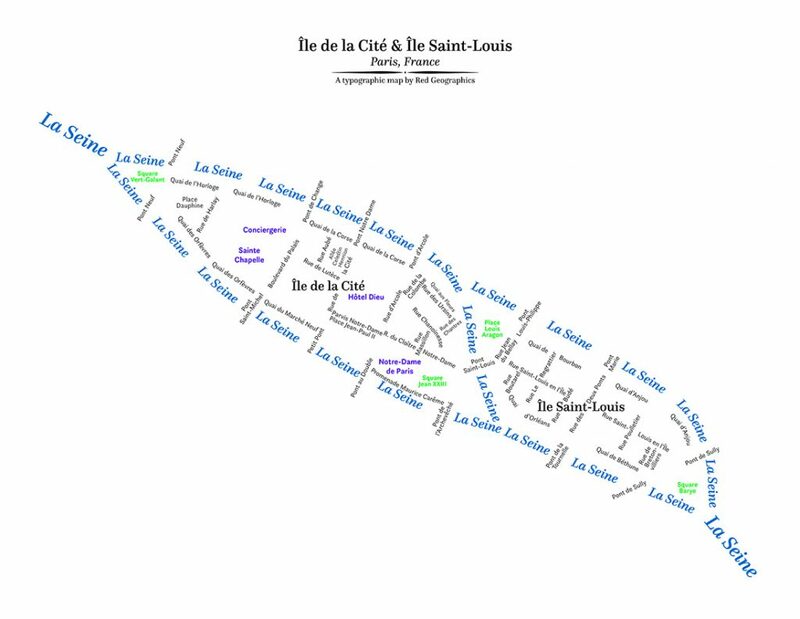 This time it’s showing Île de la Cité and Île Saint-Louis in the heart of Paris. All topography has been removed from the map and it’s shown purely as text labels for streets, water, open spaces and points of interest such as the famous Notre Dame. A must-have for anybody who is interested in design, typography, cartography or just loves Paris.